Waltz Pharmacy recently sponsored the Maine Health Care Association (MHCA) “Remember ME” event. 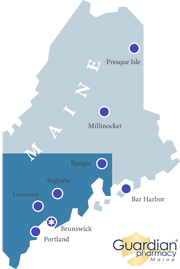 The Remember ME program honors the lives of the elderly in Maine by displaying photos and biographies of the residents living in one of Maine’s many long-term care facilities. Out of 60+ nominations, 30 residents were chosen for their amazing contributions to the world. Many of the recipients and their families were in attendance at the banquet. Waltz was honored to be a gold sponsor, and several of the Waltz LTC staff were able to attend the event. Click here to view the 2017 Remember ME booklet.